What’s this all about? Well, in January of 2015 a group of six student potters and our Baltimore Clayworks teacher, Sam Wallace, will set out on a visit to Sam’s native Jamaica. Here’s a photo of Sam reviewing our work after a woodfire a few years ago. The six of us have planned this outing for a few years, talking it over in our regular Thursday night classes (I call them our “group therapy sessions”) and finally got it all organized. We’ll be missing a few of the other regulars of “Sam’s Club,” (work obligations. other family trips, even a recent wedding have interfered), but they will be with us in spirit. We hope that these posts and photos will help bring them along for the trip. 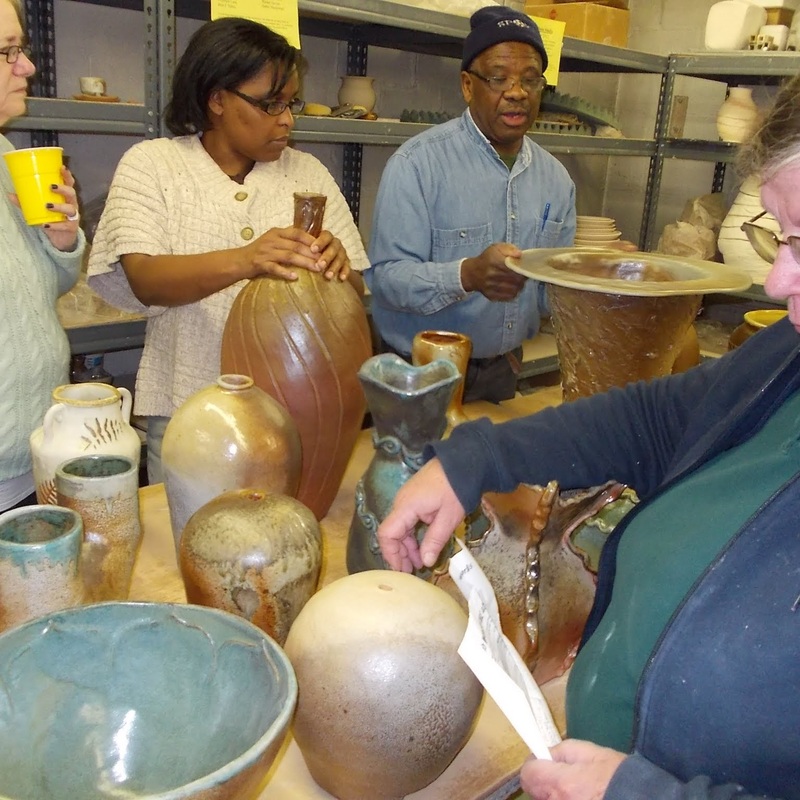 We also hope that our friends and other Baltimore Clayworks pals will follow our progress via this blog or via the Baltimore Clayworks Facebook page (click here to like).